Protestant congregations eat bread and drink wine to remember Jesus' sacrifice on the cross. Baptism and Holy Communion are the two sacraments practiced by all Protestant congregations. Baptism is the application of water to demonstrate that a believer's sins are forgiven by God, that she has entered into God's family and that she is a member of the church body. Holy Communion is a meal shared by believers consisting of bread and juice or wine, representing Jesus' body and blood, sacrificed on the cross for the forgiveness of mankind's sins. 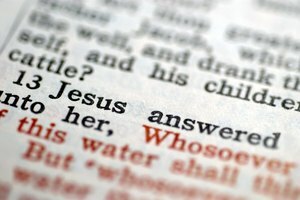 Protestant churches agree that Jesus commanded his disciples to baptize in the name of the Trinity; this belief is based on Matthew 28:19-20: "Go ye therefore, and make disciples of all nations, baptizing them in the name of the Father, and of the Son, and of the Holy Ghost ... " Protestants believe that when a believer is baptized, she is united with Christ in his burial and resurrection to new life. Baptism signals to others that a believer has been forgiven for her sins, has received the gift of the Holy Spirit, is living a new life and is now a part of the church body. Pastors or other church members ordained to baptize carry out baptisms in one of three ways, depending on the traditions of the individual denomination: aspersion, the sprinkling of water on the head; effusion, the pouring of water on the head; and immersion, the dipping of the entire body in water. In Lutheran and Reformed traditions, both infants and adults are baptized based on the belief that divine grace is available to all. Baptists and Pentecostals baptize adults only by immersion, stating that each individual believer must make a public profession of faith. Pentecostals also stress a baptism by the Holy Spirit, which is demonstrated by speaking in tongues, prophecy and healing. Protestants are in agreement that Jesus called on his followers to remember his sacrifice on the cross by eating his body and drinking his blood. Protestants base this belief on Luke 22:19: "And He took bread, and gave thanks, and brake it, and gave unto them, saying, 'This is my body which is broken for you: this do in remembrance of me,'" and 1 Corinthians 11:25, "After the same manner also He took the cup, when He had supped saying, 'This cup is the new testament in my blood: this do ye, as oft as ye drink it, in remembrance of me.'" 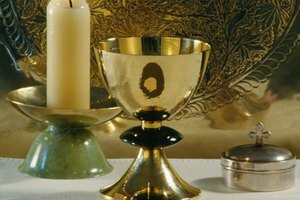 The Protestant traditions surrounding Communion are varied both in significance, content and in methods of distribution. 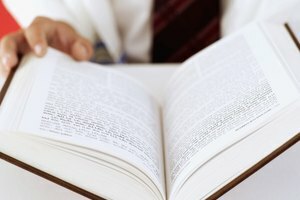 Some Protestants -- Reformed and Lutherans -- teach that the elements are the real body and blood of Christ and represent God's grace to the believer; others, including Pentecostals, believe that the elements are only symbolic, not the actual body and blood. 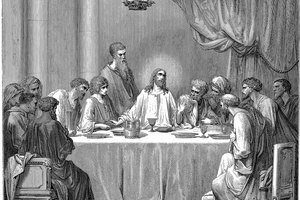 The elements -- unleavened or leavened bread and wine or juice -- are distributed either by ordained ministers or church members together as a congregation or individually; Communion is usually ingested at once, but some practice intinction by dipping the bread in the wine, then eating the bread. Evangelical Church in America: Worship, What are Appropriate Baptismal Practices? Longren, Trudie. 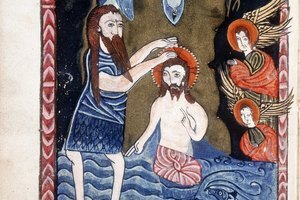 "Protestant Communion & Baptism Procedures." 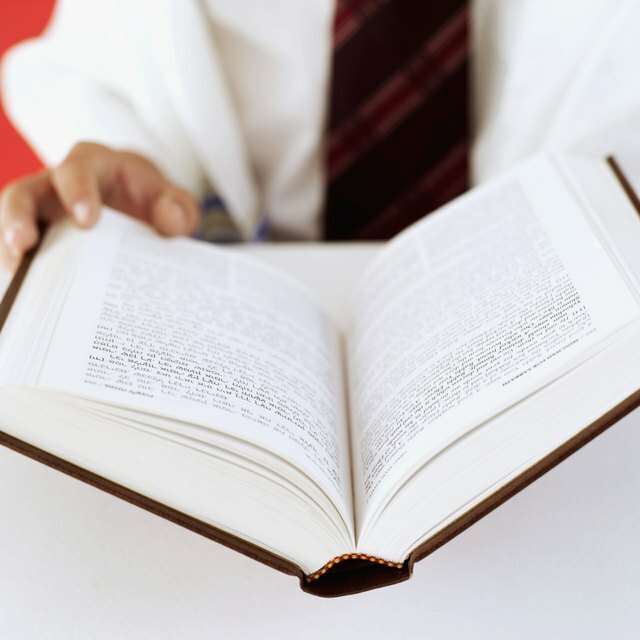 Synonym, https://classroom.synonym.com/protestant-communion-baptism-procedures-12087244.html. 29 September 2017.